911 Restoration Middle Tennessee offers the homeowners of Antioch the comprehensive water damage repair and restoration that will ensure that pipe bursts and sewage spills are patched up right away. Our water damage Antioch team will be making use of advanced drying equipment and techniques that your home gets the fresh start it needs! No matter when the issue occurs, you can count on us to be available 24/7/365 to work on the issue on the day of your call. Our mold removal Antioch pros will ensure that damage is taken care of right away to ensure any fungal growth is avoided. Aside from our availability, you can also count on our help to reach you right away and the water damage restorations are conducted as soon as possible. 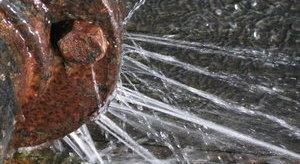 You can expect our water damage Antioch leak repair team to be there within 45 minutes of your call. Our water damage Antioch floor removal team is licensed, insured, and bonded and have over three decades worth of experience in handling all kinds of water damage emergencies. Regular maintenance work can help a great deal in helping you avoid water damage situations. But whenever a leak occurs, you can trust that water damage Antioch pros from 911 Restoration will be there to assist you. Our mold removal Antioch pros can provide you with a free assessment that will help us determine the extent of the problem and offer you the best solutions to handle your concerns. Our IICRC certified water damage Antioch technicians are trained to take care of all your water damage concerns. Our experts have undergone rigorous training and will be making use of advanced equipment and techniques. Our mold removal Antioch team’s quick response and expertise will ensure that any further complications like mold growth, flooding, or wood rot are avoided. Whenever roof leaks, pipe bursts, sewage backups, storm damage, and flooding strike, water damage Antioch professionals from 911 Restoration are prepared to lend you a hand. Give us a call today!